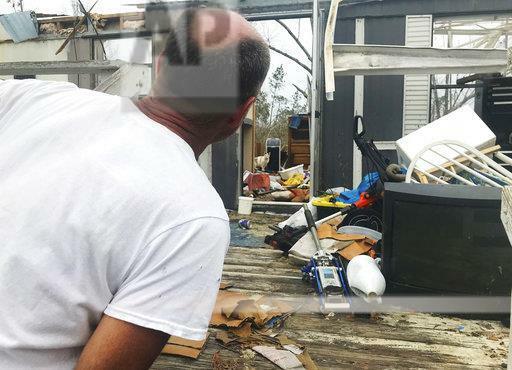 The storm carved a swatch of damage from Mexico Beach on the Gulf Coast up and across the Georgia State line. Most of the cities and counties it struck are rural with small tax bases, and they don’t have anywhere near the 25-billion dollars in estimated damages from the storm. Panama City Beach Republican Representative Jay Trumbull is carrying many of the individual project bills, even as he's backing the larger spending package. Trumbull says he was at home in Panama City when the storm came ashore, and calls the experience “humbling”. “We have an opportunity…the ability to not rebuild our communities of the past, but communities of the future. To put Northwest Florida in a place that is the most successful it can be. And we cannot do that without legislation like this," he said. The package is sponsored by Tallahassee Democratic Senator Bill Montford, Panama City Republican Senator George Gainer and Pensacola Republican Senator Doug Broxson. It would create a loan program to help cities and counties through their recovery. The storm carved a swatch of damage from Mexico Beach on the Gulf Coast up and across the Georgia State line. Most of the cities and counties it struck are rural with small tax bases, and they don’t have anywhere near the $25 billion dollars in estimated damages from the storm. Under the proposal, timber farmers, who make up the majority of th estimated $1.3 billion in agricultural lossses, would eligible for emergency loans. The state would create hurricane housing program to help with shortages in the wake of the storm, and the Division of Emergency Management would house a task force to examine the response and make recommendations to the state. Montford is referencing efforts by Congressman Neal Dunn to get Hurricane Michael funding into the next round of federal spending. Cleanup and recovery from Hurricane Michael is slow, costly and ongoing. As donations to the area stall and media coverage fades, some residents of the Forgotten Coast fear the area is living up to its name.